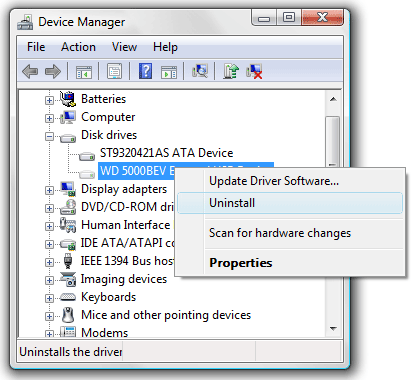 Remove Old Drivers: In the following simple solution, I’ll show you how to remove old drivers from Windows Vista. Leaving Old Drivers in place after upgrading your hardware can cause performance issues and in some cases hardware driver conflict (this is especially true with video and sound card drivers). 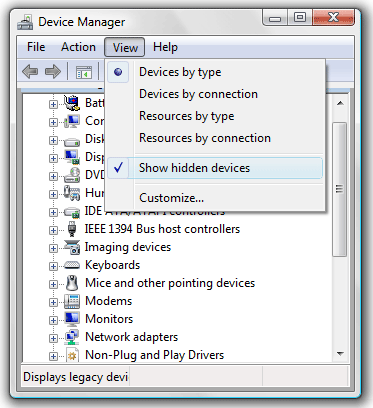 Normally, you wont be able to see devices and their drivers for old hardware in device manager as only active devices are displayed. In order for device manager to display non present devices, you will need to set a special flag to Show Hidden Devices via the command prompt and then launch device manager. The old devices will then appear in the list (partially grayed out), and you can proceed to uninstall the drivers related to them.